Click to view an article about the concert on German Consulate website. InterHarmony International Music Festival presents the first Sulzbach-Rosenberg Showcase in New York, featuring young esteemed soloists who performed in Germany. These performers bring to the stage unique, virtuosic works by Martinu, Bazzini, Tosti, Goens, Tchaikovsky, a song by German contemporary icon, Wolfgang Rihm and a cello quartet by Gershwin transcribed by Cellist Werner Thomas-Mifune for which Maestro Misha Quint will join the performance. InterHarmony International Music Festival hosts one session in Sulzbach-Rosenberg, Germany and two sessions in Italy this year. InterHarmony International Music Festival is in its 8th year in Sulzbach-Rosenberg, Germany, where it has become a part of the town's robust culture. Each year residents give the festival a warm welcome that is apparent in its sold-out concerts and a welcome ceremony presented by the town. The festival combines performance, master classes, and coachings with elements of the Russian school that inspires audiences and develops young artists. A staple of the festival in Europe is a concert series featuring renowned performers and young artists in solo and chamber music, culminating with a final orchestra concert. 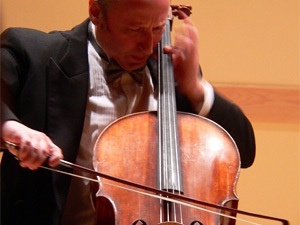 Music Director and internationally-renowned cellist Misha Quint modeled InterHarmony International Music Festival after his festival in Soesterberg, The Netherlands. Previous locals included Hinterzarten, Germany, San Francisco, California, and The Berkshires, Massachusetts. 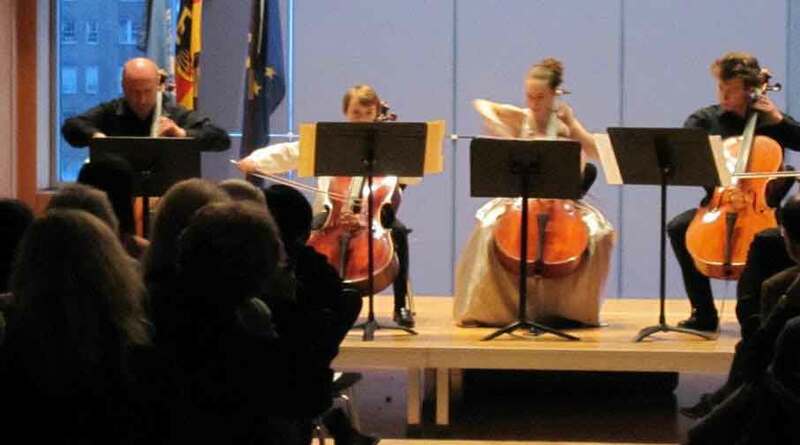 InterHarmony builds its presence in the music scene in New York, which began in January when InterHarmony showcased Misha Quint in a cello recital at Carnegie Hall and continues with the Young Artist Showcase at the German House. 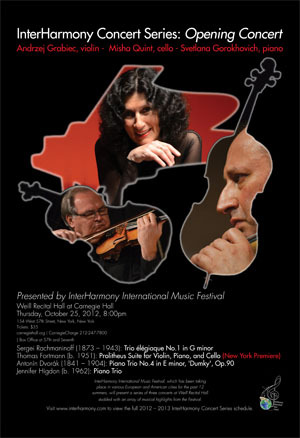 InterHarmony continues to spread international friendship with the universal language of classical music by way of multicultural collaboration as it kicks off a new concert series at The Weill Recital Hall at Carnegie Hall in 2013. 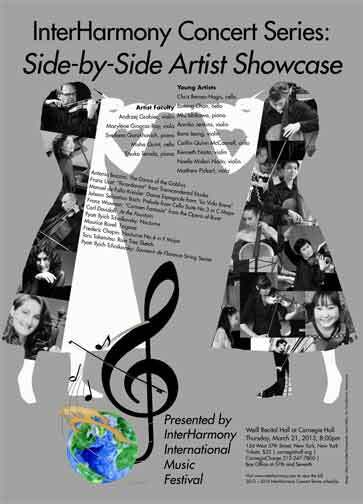 May 3 soloists include: violinists Kenneth and Noelle Midori Naito, recent performers with the Kostrama Philharmonic Orchestra in Russia and at Carnegie Hall, and Annika Jenkins, performer with nearly 20 orchestras and National Public Radio's, "From the Top"; cellists Caitlin McConnell, 2010 winner of the National Federation of Music Clubs Collegiate Competition, and Lawrence Foster Violoncello Award, Chris Beroes-Hagis, winner of Judges Merit Award, Meryl Vourch, winner of the American Protégé Music Competition; and tenor Ezra Bershatsky, winner of the "Best of New York" award in the NFAa competition in 2008. A plethora of musical styles encompass this concert, from the lyrical melodies of the song by Italian Composer Tosti to the intensity of the Tchaikovsky Violin Concerto and Slovakian folk songs written into Martinu's "Variations on a Slovakian Theme for Cello and Piano". Like Franz Schubert before him, German composer Wolfgang Rihm set music to the poetry of Geothe. However he takes a much different approach. "I don't write pure music… I am in my person exposed to many uncertainties, arising both within and outside myself, and I yield to these uncertainties". 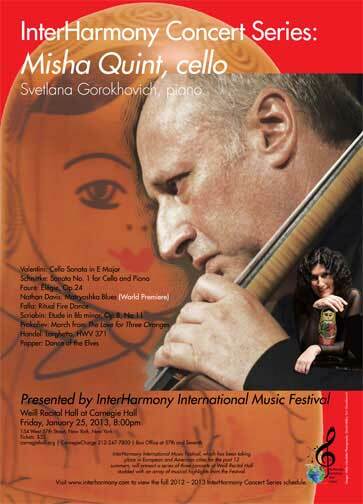 The concert will conclude with the unconventional ensemble of four cellos in a quartet by George Gershwin. Pianist Eduard Laurel will play with instrumentalists. Paolo Tosti (1846 – 1916): "Lasciami,"